Successful Kickstarter campaigns start and end with a bang, with the exceptions few and far between. I’ve covered a fair number of campaigns during my time at Cliqist, and I’ve never seen any home stretch funding surge like I saw with SPRG Arcadian Atlas. My editor, Greg Micek, has covered way more campaigns than I have, and even he rarely sees numbers like these. In the final three days of the campaign, developers Taylor and Becca Bair managed to raise a whopping $34,213; they were asking for $90,000, and ended up with $95,205. Yes, that’s right, with less than half a week to go, they were sitting at two-thirds of their goal. And I, the pseudo-pundit that I am, predicted (to nobody in particular) that they would end up at roughly $8K, just slightly under. But maybe, just maybe, if everything fell into place, they would make it to $9K. Turns out my prediction wasn’t too far off. On the third-last day, they raised roughly $11K, which was pretty mind-boggling. On the penultimate day, they raised double that and then some–$22,556! That was truly mind-boggling. I had the campaign page open in another tab, and the numbers were changing by the second. The interesting thing is that on the first day of funding there were 365 backers, and on the penultimate day there were less backers—360. But on the first day they raised close to $12K and $22.5K. And just like that, the show goes on! 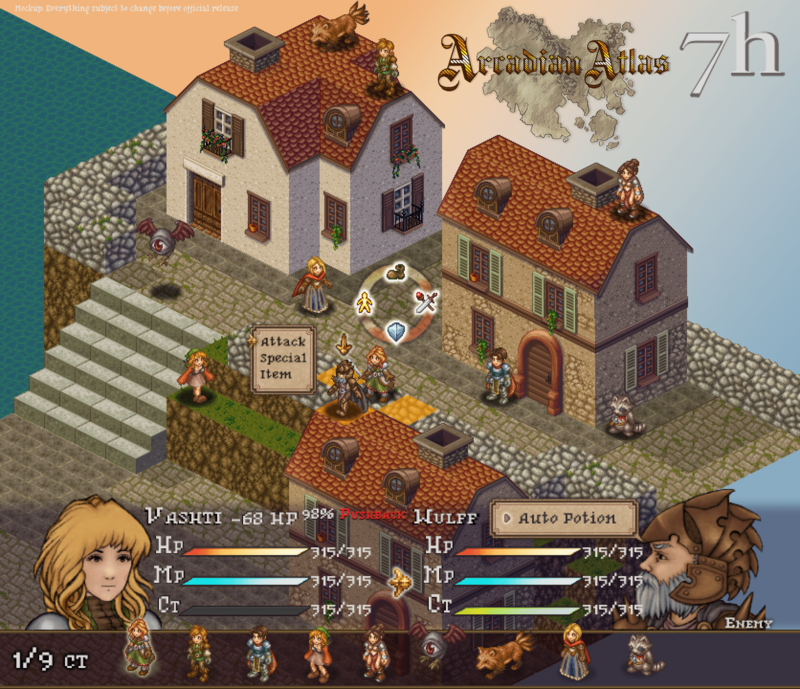 We’ll be following up our coverage of Arcadian Atlas’ successful campaign with a very special feature sometime in the next couple of weeks, so stay tuned!